"We renew our commitment to collectively build a better society; our role in this process is to work towards ensuring the full development of children"
For fifty years, three generations of family members have been working to build a legacy whose goal is to somehow contribute to the development of the Brazilian society. Beginning in 1965, Gastão Eduardo and Maria Cecília Souto Vidigal dedicated themselves for almost four decades to promoting cutting-edge research in the field of Hematology. They established partnerships to disseminate knowledge about this medical field, thereby translating science in a way that would be easyer for the general society to understand. After the patriarch passed away in 2001, the Foundation changed its course. 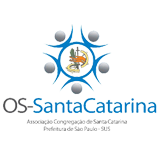 Back then, we, his children and grandchildren, the second and third generations, decided to investigate how important the Foundation´s work was for the society. We actually took a step further and studied the actual social demands of that time, an exercise that led us to develop new lines of work and adopt sound governance mechanisms such as our Bylaws and the Endowment Fund, to ensure the perpetuity of the Foundation´s work. In 2007, encouraged by the research conducted by Dr. Saul Cypel, we all agreed that we could make a difference if we chose to concentrate our efforts on early childhood. And why early childhood? Because it is during this period of time, from pregnancy to 6 years of age, that the brain structures of a child develops the most. Thus, early childhood must be understood in both an integral and integrated manner. This is the time in children´s life when the bonds that are formed and the environment in which they grow will greatly affect their development and future life. Moreover, for every dollar spent on early childhood, the return is four to nine times higher, proving that by promoting the development of a child from a tender age, society is investing in a better future. After all, Brazil´s current population of children aged between 0 and 6 totals 19 million. We constantly strive to engage the academia, the government, non profit organizations, professionals and corporations aiming to develop new projects, new public policies, innovative research and programs, and for science and society to work closer together and thereby produce breakthrough knowledge about early childhood. We celebrate our results and are proud to say that our Program “São Paulo Primeirissima Infãncia” was converted into government policy, and that we are engaged in helping build the Early Childhood ”Marco Legal”; this year alone, we have made more than 4 thousand professionals aware of the importance of early childhood development and have been able to address this issue in more than 860 good quality articles in the press. We renew our commitment to collectively build a better society; being our role in this process to work towards ensuring the full development of our children. "…because men, walking almost always in paths beaten by others, and following by imitation their deeds, are yet unable to keep entirely to the ways of others or attain to the power of those they imitate. A wise man ought always to follow the paths beaten by great men, and to imitate those who have been supreme, so that if his ability does not equal theirs, at least it will savor of it. Let him act like the clever archers who, designing to hit the mark which yet appears too far distant, and knowing the limits to which the strength of their bow attains, take aim much higher than the mark, not to reach by their strength or arrow to so great a height, but to be able with the aid of so high an aim to hit the mark they wish to reach." The Foundation turned 50 in 2015. I frequently mention the courage and innovative insight of our founders, Dr. Gastão Eduardo and Dona Maria Cecília. If today Brazil still lacks incentives such as tax benefits for the establishment of Foundations and NGOs, just imagine what it was like fifty years ago! I dare say that Dr. Gastão and Dona Maria Cecília could not have imagined how important this project would become in its 30, 40 and 50 years. The mission of the Foundation over the first four decades of existence was to promote research in the field of hematology. 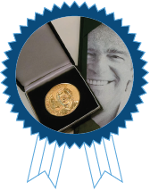 When I talk to people who have accompanied the Foundation from the start, they refer to it as a reference of serious commitment and technical knowledge for generations of professionals that impacted the lives of many people and of Brazilian families. ... it is in early childhood that the foundation of the future of all individuals is established, especially when children in this phase are greatly neglected by the Brazilian society. We believe that the FMCSV foundation can significantly contribute to this issue. The above quote, when compared to our current challenges, indicates that we still have a long way to go. Making a parallel between the past and the present we see that in the year 2000, for example, there were 29 deaths per one thousand births. In 2007, the year in which this letter was written, the number of deaths was 19.98. In 2015, there were 13.82 stillbirths per thousand births*. Great progress indeed but still behind countries such as Iceland (2.6), Sweden (2.7) and Cyprus (2,8). it is therefore important for Brazil to continue to strengthen policies that will allow children to lead decent and healthy lives. Although aware of the fact that reducing the death rate to zero is something almost impossible to achieve, Brazil has to aim at this target, because loosing even one single life is not acceptable. Fortunately, most Brazilian children are not included in this statistic. Nonetheless, due to the country´s current social inequality, these children are unable to fulfill their potential. They are both the present and the future, and it is on their behalf that FMCSV has been working since 2007. Due to the highly complex nature of our mission, and for the fact that we strongly believe in the importance of early childhood, the Foundation´s work has ALWAYS been based on partnerships and open dialogue. - The Beginning of Life is a film documentary that was shot in nine different countries, showing the importance of the first years of life for a person’s development. It is a 3-year long project to be launched in May 2016. The year 2015 was also a year during which we spent a lot of time reviewing and reflectiong on our thoughts and ideas. We looked both inward and outward, talked to national and international experts, studied successful action models used by other institutions dedicated to promoting what we like to call a systemic change of all early childhood-related aspects. We also tried to understand how we could play a broader and more impactful role as an agent of change of the current reality of our society. 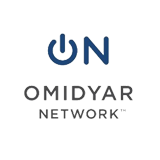 By the end 2015, we had experienced major internal changes, such as the creation of a Strategy and Operations Department and, within it, a Project Office. These two initiatives aime at making our work more effective and efficient. After a long and thorough Strategic Review, we decided to focus and plan for long-term results (2016-2021). In 2016, we want to achieve better results and bring about more changes to continue on our journey, which is inspired by other people´s achievements; we want to join them and change our country, with our arrow always pointing to our target, regardless of the distance that this arrow will have to cover and the obstacles it will have to overcome. May another 50 years come our way and a promising future be here soon. Fifty years have already gone by since Gastão Eduardo and Maria Cecília Souto Vidigal started a fund to create a Foundation whose goal was to broaden the scope of research in Hematology and then disseminate that knowledge. 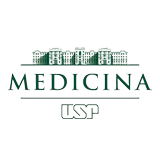 It all began with a laboratory that was ran in partnership with the School of Medicine of the University of São Paulo. Over the first 40 years, the Foundation focused its work in promoting research and translating and disseminating scientific knowledge among the society. In 2001, the patriarch assigned the family´s second and third generations the task of managing his legacy. Family members came together and sought the education and training required to continue the Foundation´s excellent work. Since 2007, the cause of Early Childhood has been the main focus of the Foundation and many were the achievements that only came about thanks to intensive networking, the promotion of innovative practices and the generation and dissemination of knowledge. It is a story worth reading! Below you will find some of the landmarks we have built over our 50 years of existence! 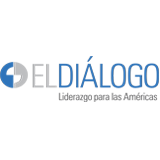 Maria Cecilia Souto Vidigal Foundation was created by Gastão Eduardo and Maria Cecilia Souto Vidigal after their eldest child passed away from leukemia at age 13, with a view to encourage research in the field of hematology. 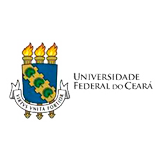 It partnered with the The Medical School of the University of São Paulo to expand research and disseminate knowledge in this field. 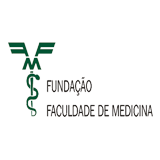 Hematology courses were held and a specialized library was built in the Maria Cecilia Souto Vidigal Laboratory. 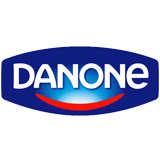 Process led by Dr. Michel Jamra, scientific director at the time. Corporate lectures were introduced to elucidate questions about AIDS and build awareness on the subject among professionals, still unknown to most by that time. Set out from the start to translate scientific knowledge into plain language to raise awareness on issues considered relevant for society. First considerations to change the main line of action of the Foundation, since it had already made important breakthroughs in the fields of hematology and hematotherapy in Brazil. Intensive capacity building program for 2nd and 3rd generations of the Souto Vidigal family members, who would now to take over and manage the Foundation; changes in the bylaws and governance model. Identifies the need to adjust to the new challenges of society, focusing on projects in the fields of education, health and the environment. The Foundation takes a closer approach toward Early Childhood (PI Primeira Infância), especially after Prof. Dr. Saul Cypel, pediatric neurologist and member of the Board of Curators, presents a consistent scientific project on the subject. The Foundation decides to champion Early Childhood Development activities officially. I International Workshop on Early Childhood Development - theme: "Comprehensive Debate on Early Childhood Development." 70 multidisciplinary professionals specialized in CD convened in São Paulo to contribute to the work of the Foundation. Discussions revolved around the full development of children and the role of public policies in the dissemination of information. Program “Primeiríssima Infância” was created in partnership with the municipalities from the state of São Paulo as an intersectorial project to be implemented in care centers for expectant women and children up to 3 years of age (in 2013 it took the name “Programa São Paulo pela Primeiríssima Infância”). II International Workshop on Early Childhood Development – theme: "Assessment tools for Early Childhood Social Programs." Speakers discussed success cases, policies and projects developed worldwide, both in terms of implementation and results. The Foundation dedicated a segment to the issue of Early Child Development in Brazil, explaining its role as a third sector organization in a country that lacks projects in this segment. New mission and vision are established. The Foundation begins to operate through field projects and initiatives that seek to consolidate the full development of children, fostering research and innovation through monitoring and evaluation tools. 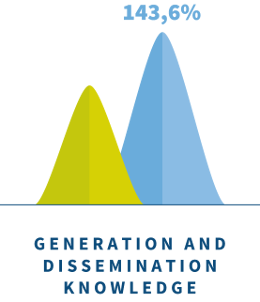 The goal is to incorporate the generation and dissemination of knowledge and practices as institutional strategies. Program “Primeiríssima Infância” is expanded and implemented in the cities of Botucatu, Itupeva, Penápolis, São Carlos, São José do Rio Pardo and Votuporanga. III International Workshop on Early Childhood Development takes place. 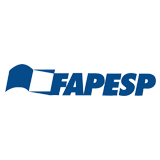 Partnership for scientific cooperation with São Paulo Research Support Foundation (Fapesp), to launch a call for proposals in areas related to early childhood. IV International Workshop on Early Childhood Development opens to the public at large for the first time bringing together 170 professionals. The theme "Networks and Partnerships to foster Child Development" drew partners who sponsored the activity, such as: Alliance for Childhood, Abrinq Foundation, C & A Institute and the Brazilian Society of Pediatrics. Núcleo Ciência Pela Primeira Infância (NCPI) was created with support from the following partners: Center on the Developing Child (CDC) and David Rockefeller Center for Latin American Studies (DRCLAS) - both from Harvard University -, School of Medicine of the University of São Paulo (USP) and the Education and Research Insitute (Insper). NCPI’s ultimate objective is to translate scientific knowledge into plain language that can be used in public policies and professional practices. Núcleo Ciência Pela Primeira Infância (NCPI) holds the I International Symposium on Early Childhood Development, under the theme "Science and Public Policy - a Fundamental Dialogue." Program “Primeiríssima Infância (PPI)” is implemented in the micro region of Cidade Ademar, Souther portion of the city of São Paulo. The series “Nota 10 Primeira Infância – 0 a 3 anos” is produced in partnership with the Roberto Marinho Foundation and is broadcast on Canal Futura. The themes made reference to five scientific concepts which demonstrate that the first years of life are crucial for the formation of individuals: child development from 0 to 3 years of age, the concept on children, the importance of the bond, of playing and the role of the family. Both he video and digital material are available on the internet. Elected new Chairman of the Board of Curators and member of the third generation of the family: Guilherme Vidigal Andrade Gonçalves takes over and replaces Regina Vidigal Guarita, who had chaired the Board since 2005. 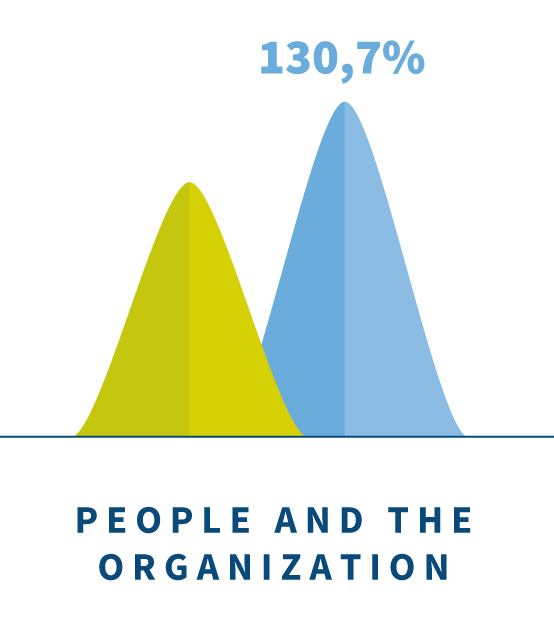 Three lines of action are defined: Articulation (JOINING EFFORTS) Generate and disseminate knowledge (KNOWLEDGE MANAGEMENT) and Practices (CHANGE REALITIES), boosting the work of the Foundation. Núcleo Ciência Pela Infância (NCPI) begins to produce scientific evidence through meetings and holds the first edition of the Program “Liderança Executiva em Desenvolvimento da Primeira Infância” in Cambridge, Harvard University, as well as the II International Symposium on Early Childhood Development, with the theme "Science and Public Policy - a Key Dialogue." Partnership with Frameworks Institute to further research and investigate what the Brazilian society knows about Early Childhood. Good results achieved by Program “Primeiríssima Infância (PPI)” in Itupeva, with significant changes in work processes and in care provided to pregnant women and services for children from 0 to 3 years of age. Expansion of Program “Primeiríssima Infância (PPI)” to eight municipalities: Cabreúva, Campo Limpo Paulista, Jarinu, Jundiaí, Itatiba, Louveira, Morungaba and Várzea Paulista. 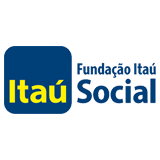 New partnership with the Health Secretariat of the State of São Paulo (SES / SP). 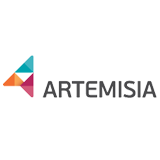 Multiplication of initiatives related to Program “Primeiríssima Infância (PPI)”, production and distribution of publications and development of new practical models, consolidating the relationship with leaders who are focused on the topic. The Health Secretariat of the State of São Paulo (SES / SP) strengthens its partnership through an agreement with Program “Primeiríssima Infância (PPI)”, giving rise to Program “São Paulo pela Primeiríssima Infância (SPPI)”, now comprising 41 municipalities in 5 new regions of the state. 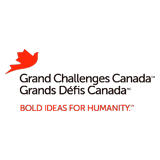 Enters partnership with Grand Challenges Canada - "Saving Brains" a public notification that calls for innovative initiatives from different parts of the globe to foster early childhood development, specifically by providing solutions to key challenges in this segment. The first call received 106 projects, 23 from Brazil out of which 3 were selected for further development. 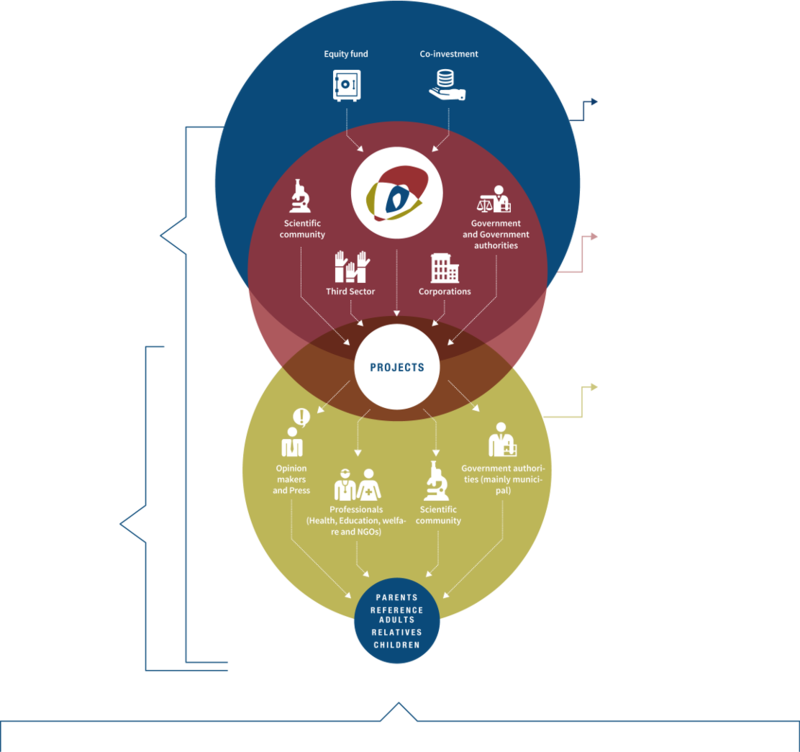 “Atenção Integral à Primeira Infância (IPPI)” Index was created to map scenarios and facilitate the implementation of actions developed by Programs “São Paulo pela Primeiríssima Infância” and “Linha de Cuidado da Saúde da Criança”, which set standards of care for children from 0 to 3 years of age throughout the state of São Paulo. 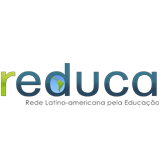 Partnership with Observatório do Plano Nacional da Educação (coordinated by Movimento Todos pela Educação) to produce content and goals related to childhood education, under the National Education Plan (PNE). III International Symposium on Early Childhood Development is held by Núcleo Ciência Pela Primeira Infância (NCPI), with the theme "How to reach a larger number of Beneficiaries?" New management model is implemented and the Foundation sets clear targets for managers and creates an enhanced system to track metrics and performance. 2nd series of program “Nota 10 Primeira Infância – 4 a 6 anos” is produced, consisting of five programs with the following themes: Não sou mais bebê (I am no longer a baby), Minha família (My family), Minha escola (My school), Minhas brincadeiras (My games) and Meu Futuro (My Future). The video is available on the internet. Núcleo Ciência Pela Primeira Infância (NCPI) holds the 2nd edition of the Program “Liderança Executiva em Desenvolvimento da Primeira Infância” in Cambridge, Harvard University. The Special Committee of the Chamber of Deputies in Brasilia approves the “Marco Legal da Primeira Infância”. Drawn up in 2013, Bill 6.998 was an achievement of parliamentarians who attended the NCPI Executive Leadership Program. 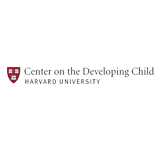 Publication of the study "The Impact of Early Childhood Development on Learning," the first of a series created by the NCPI Scientific Committee. The goal is to guide, mobilize and support policy makers and government authorities in creating policies and programs focused on pregnant women and children from 0 to 6 years of age. 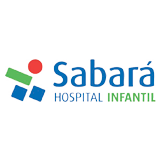 Renewed intention of Núcleo Ciência Pela Primeira Infância (NCPI) to further activities for three more years (2015-2017), and inclusion of Sabara Children's Hospital as a new partner. The Program “São Paulo pela Primeiríssima Infância” receives the Alas/IDB Award, granted by the Inter-American Development Bank in the category Best Innovation Award, and is also awarded in IV Health Promotion State Forum. Systemization of eight publications with a step-by-step process to implement the Program “São Paulo Pela Primeirissima Infância (PPI)”, shared with municipal authorities willing to create actions in this area. The goal is to present the main steps for creating, training and maintaining programs and policies, as well as to offer suggestions for monitoring, evaluation and structuring of an efficient governance system, focused on early childhood development. Investing in Young Children Globally (iYCG) Forum, designed by the American Academy of Sciences, takes place within the "Early Childhood Week ", created by the Foundation. Núcleo Ciência Pela Primeira Infância (NCPI) holds the IV International Symposium on Early Childhood Development, with the theme "Strengthening the Potential of Adults to Promote the Development of Children", during the " Early Childhood Week." Núcleo Ciência Pela Primeira Infância (NCPI) holds the third edition of the Program “Liderança Executiva em Desenvolvimento da Primeira Infância”, in Cambridge, Harvard University. The Maria Cecília Souto Vidigal Foundation (FMCSV) aims at promoting early childhood development from pregnancy to 6 years of age. To fulfill its mission, the Foundation promotes awareness campaigns, offers training programs to pre-school teachers, supports initiatives to strengthen family bonds, and works towards mobilizing leaderships. Means to create, translate, organize and share content about early childhood with the overall society, especially with interested parties, enabling them to identify, act, and advocate their cause. Means to create , translate,organize and share content about early childhood with the overall society, especially with interested parties, enabling them to identify, act, advocate their cause. 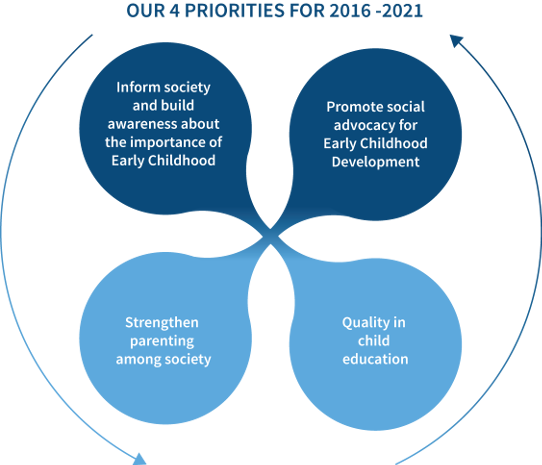 Projects whose goals are to design early childhood development initiatives that can be tested, monitored, and evaluated. The ultimate goal is to generate knowledge about social intervention and transformation processes that can be shared and scaled up. We are committed to the cause, to the institution, and to personal and professional growth. We are passionate about and proud of what we do. Our work and relationships are based on integrity and transparency. We do not tolerate any non-compliance with our organizational policies. We work as a team in an integrated and effective fashion. We hire and retain people who enjoy being part of our team, are prepared, efficient, flexible - i.e., enjoy multitasking, and have a good mood. 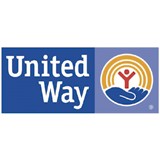 We value the partners with whom we work to build effective solutions. We work to achieve target-oriented results. Significant early childhood development can only come from a joint effort. This is why the Foundation works hand in hand with the public and the private sectors, the Academia, and organized civil society.  In 2015, the Foundation changed some of its internal structures and pushed forward new mechanisms of governance. These initiatives brought synergy to our internal activities and greater transparency to our practices. An important step consisted of the creation of the Projects and Assessment Office, under the Strategy and Operations Department. It will be a new cell with broader scope of work that will enhance the strategic management of projects and programs. The results from the 4th edition of the Climate Survey were better than what had been anticipated, with an 82% overall satisfaction compared to 74% in 2014. 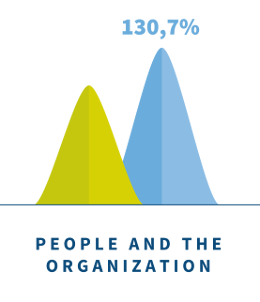 We invested more in people management - 9% more than in 2014 - and in the design of improved budget and tax management processes. As part of this important initiative to advance our cause, the Foundation decided to boost its Communication Department by creating campaigns and publications that better reaches its target audience. This effort consisted of mobilizing and educating the Press, which in turn would take a qualitative leap forward in terms of what is published. The Foundation innovated by producing its first doc-reality in partnership with the Discovery Home & Health channel andhree inserts on early childhood were published in Folha de São Paulo newspaper. The purpose of the two initiatives was to better disseminate knowledge to the overall society. Publications, articles and other knowledge-enhancing material on Early Childhood Development. Appearances in the Press addressing Early Childhood Development-related issues. Dissemination of information on Early Childhood Development through various communication channels. Raising the awareness of professionals working in the field of Early Childhood through events. Direct training of professionals working in the field of Early Childhood. ***weighted average was exceeded by 232% since the communication channels where the Foundation was featured are top level and account for 70% of the target, compared to other channels that account for only 30% of the target. On October 2015 Maria Cecília Souto Vidigal Foundation received the Darcy Ribeiro Award , which is granted by the Education Committee of the House of Representatives to individuals and organizations that have excelled in promoting and advocating the right to education. 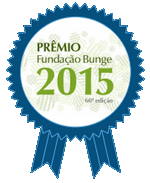 On its 60th anniversary, the Bunge Foundation paid tribute to FMCSV, which was invited to share its experience, join forces, and identify common denominators by sustainable Brazilian organizations whose work is considered to be fundamental for social development. In 2015, the fourth edition of the program was held in Cambridge, Harvard University, and the first national edition took place at Insper, São Paulo. The goal of the program is to engage policy makers, public officials and representatives from civil society in a dialogue about science and Early Childhood development. It also aims to promote a discussion about the role these stakeholders can play towards effectively applying scientific concepts in high added value integrated public policies that can address social challenges. In 2015 approximately 100 alumni of the program were brought together in an event. 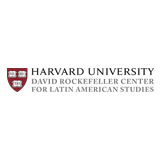 This Initiative brings the technology innovation and acceleration Frontiers of Innovation (FOI), used in the Center on the Developing Child (CRC) at Harvard University to Brazil. The goal is to apply scientific knowledge on high-impact strategies that have the potential to transform the lives of children and families living in vulnerable conditions. 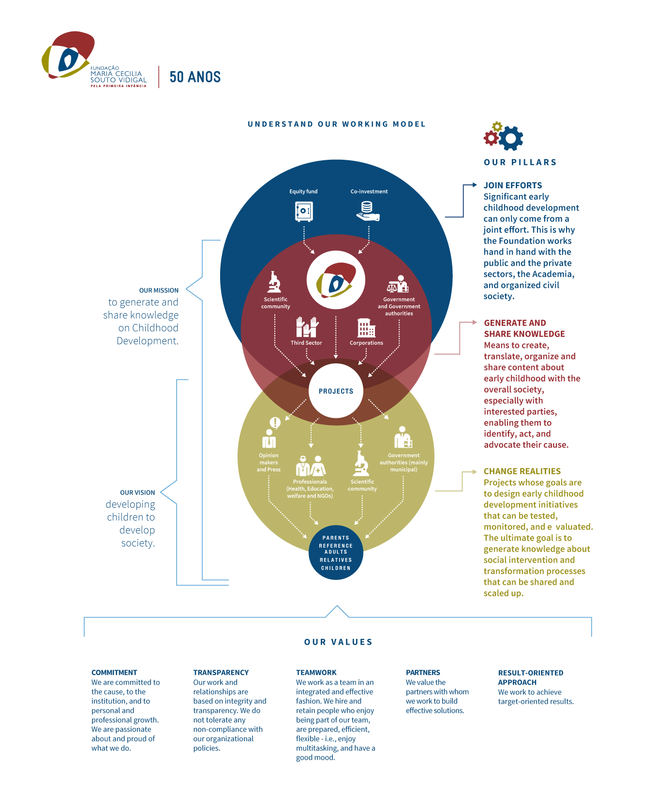 iLab is design to operate through multidisciplinary teams to identify needs related to Early Childhood that are not met by the public and private services in Brazil, and co-create Science-based theories of change to propose solutions. 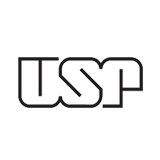 - iLab first workshop had 42 attendees from eight Brazilian states. Two workshops will be held in 2016 and up to three projects will be selected and receive funding for two years. With the theme "What is the Quality of Policies and Services that Promote Early Childhood Development?” the event brought together, in person and online, professionals, researchers, health, education and social development managers, as well as specialists from other areas to debate about national and international experiences focusing on quality and Early Childhood. The NCPI Committee consists of 19 members and 3 employees and, in 2015, in addition to the meetings that were held, two new studies were started: “Vínculos familiares na Primeira Infância”- "Family bonds during Early Childhood" and Funções executivas e desenvolvimento Infantil: habilidades necessárias para a autonomia”. "Executive functions and Child development: necessary skills for autonomy ". The documents are expected to be published on the second half of 2016. “São Paulo pela Primeiríssima Infância” is a program that aims to promote the full development of children during early childhood (0-3 years of age). 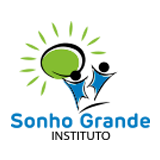 The SPPI consists of a set of actions designed to: improve the quality of care given to pregnant women and young children; foster planning and intersectoral coordination of municipal and regional governments; and create awareness among society about the importance of development in the early years of life. In the year 2015 the program reached 37 municipalities and the State Government of São Paulo announced its expansion, with the goal of reaching a total 101 municipalities in the coming years. 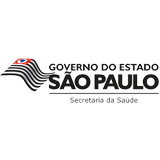 São Paulo State Government and Health, Social Development and Education Secretariats and all municipalities involved. 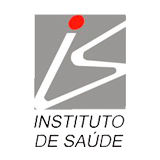 IPPI is one of the subdivisions of Program “São Paulo pela Primeiríssima Infância (SPPI)”. It indicates that São Paulo municipalities are capable of advancing early childhood development by providing children under 6 years of age with access to health and educational services. The Index was created based on eight annual official health and education indicators and enables the identification of opportunities to enhance public policies related to Early Childhood. 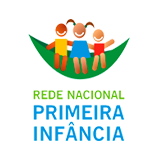 In order to maximize the dissemination of early childhood programs in Brazil, the Foundation produced eight notebooks for download containing instructions for implementation of Program “Pela Primeirissima Infância (PPI)”. The material is aimed at managers and government authorities, mainly municipal, and presents key steps for the creation, qualification and maintenance of early childhood programs and policies (PI). It also contains suggestions for monitoring, assessing and structuring an efficient childhood-oriented governance structure. The PIA initiative was created in the capital city Rio Branco as an initiative of the Government of Acre after professionals from their State Health Secretariat (Sesacre) attended the Executive Leadership Program on Early Childhood Development, organized by NCPI in São Paulo, in April and June 2015. The purpose of the program is to qualify caregivers working with children from pregnancy to 6 years of age in eight municipalities to promote their full development. Dissemination of Program “Primeiríssima Infância (PPI)” to Arapiraca municipality, in Alagoas. - Training course for 60 professionals and five interventions for multidisciplinary professionals. The Foundation partnered with OS-SC to carry out interventions toward full childhood development through the Program “Primeiríssima Infância (PPI)”. The interventions were carried out in the Basic Health Units (BHU) located in the Southern portion of São Paulo city, where the OS-SC operates. 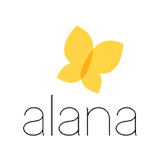 - Inclusion of “Primeiríssima Infância (PI)” in the BHU workflow; improved processes in care given to children and families. Events were held to discuss the theme Early Childhood and optimize the spaces used in the BHU nd to create a new standard of care, which would include home visits. Maria Cecilia Souto Vidigal Foundation becomes a member of the RNPI board and, in 2015. Besides attending the meetings, it assisted the “Observatório Nacional Primeira Infância” project in producing the “Orçamento da Primeira Infância” for publication. The Observatory is a monitoring tool that tracks the strategies of the 13 actions of the “PNPI Plano Nacional para a Primeira Infância”. 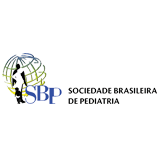 The course was designed by the São Paulo State Health Institute (IS) as part of the professional training initiative provided for professionals who work with early childhood at the state level. The objective was to implement strategies and projects in the municipalities to promote integrated actions toward child development, by enhancing integrated services provided by healthcare centers, and to promote a debate on Early Childhood Development among different sectors. Launched during the second call - in partnership with Grand Challenges Canada - to support innovative international projects and to foster and support child development during the first years of life. Support is given through low-cost, large-scale products, services and models for social intervention that are sustainable and based on scientific evidence. Mapping practices and opportunities of “Serviço Socioassistencial de Convivência e Fortalecimento de Vínculos (SCFV)” covering the period from 0 to 6 years of age, contemplating quantitative and qualitative ethnographic research conducted in five cities in different regions of Brazil. Funding to translate and validate the tool to be used by parents or teachers to evaluate different development areas of children from ranging from3 to 5 years of age. The project relied on public announcements to drive the academy to apply knowledge into actual practices and interventions that promote early childhood development, especially for children from 0 to 6 years of age. Launched during the V International Symposium on Early Childhood Development, the publication is about parenting. It consists of a set of intentional activities that are performed to guarantee that children survive and thrive. The publication contains theoretical and inspiring references for professionals working with children and adults, in an effort to strengthen full development during Early Childhood. Available for download from the institutional website. Series of three sections dedicated to EC (PI), a joint study between the Communication and Applied Knowledge departments and Folha de S.Paulo’s newsroom. The goal was to translate science into plain language. The Foundation provided advice during the production of this independent editorial. Campaign to disseminate knowledge through content production, events and bimonthly newsletters to raise awareness and show parents that it is important to read to young children, highlighting the positive impact on their development and influencing the work of over 17,000 pediatricians throughout Brazil. 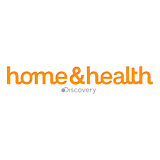 Series produced and aired on Discovery Home & Health channel, with six 30-minute episodes during the months of September and October. The story is about two families with young children and experts counseling parents on how to deal with the challenges they face during this period, and providing advice on how to strengthen family bonds and on children development. The Foundation provided key advice in relation to the contents that were addressed. First joint initiative between the communication department and the private sector. - Reached 1,2 million viewers with cable TV, registering a 53% increase in ratings during the period; ranked among the Top 15 programs on paid TV over the period. - Ranked number 1 in the Family category when launched in September on the Discovery Woman website (over 19 thousand page views and 15,8 thousand single sign-ons). 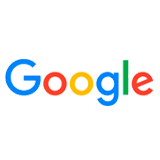 The Foundation was accepted in Google’s non-profits incentive program and received a grant that was invested in advertising campaigns to promote the corporate website. 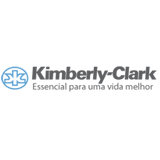 The tool enables broader dissemination of new publications and programs that ultimately reach more internet users. The Foundation sponsored Dr. Ana Maria Escobar’s “Boas Vindas Bebê”, which tracked 600 pregnant women with ages between 18 and 35, from the first quarter of pregnancy up to 30 days after birth. Daily posts were shared on the importance of this period on a Facebook fan page, disseminating knowledge on EC via social networks. Interruption of alcohol consumption during pregnancy. It is important to point out that the proportion of C- sections was higher in BVB than in the control group, but similar to other external sources. This can be explained by the fact that 100% of the participants receive care at SUS (Public Healthcare System). 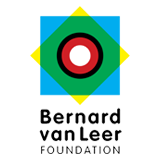 The project began in 2012 in partnership with Alana Institute and Bernard Van Leer Foundation. The goal was to produce a film about Early Childhood. The producer Maria Farinha Films and the managing partner, Estela Renner, were invited to conduct the project. The film was shot over a period of three years, in eight different countries. 54 specialists were interviewed worldwide. The project seeked to raise awareness and mobilize parents, families, professionals, leaders, organizations and government authorities about the importance of the early years of life, and the impact this period has on the future of society. Global launch in movie theaters is scheduled May 2016. The movie will also be streamed on the VideoCamp platform, with open streaming, and will be available on iTunes and Netflix. - Three trailers with over 1,9 million views on Facebook and Youtube. - National and international partnerships to disseminate the movie and engage viewers on the importance of Early Childhood: Unicef, IDB and World Bank, UBS Optimus Foundation, Ready Nation, United Way, RNPI, Government of Ceará, Instituto da Infância (Ifan), Ministry of Social Development and Reduction MDS, Health secretariat of the São of Paulo, Ashoka, Johnson’s, Kimberly-Clark, Natura, Amil, Hipermarcas, TAM, Sesc, Senac, Espaço Filmes, Revista Crescer, Catraquinha and Ótima, among others. 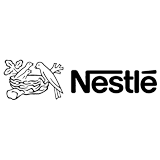 The tool is being deployed to support the customer relationship project as part of the corporate strategy to optimize interaction with the Foundation’s stakeholders. The ultimate goal is to promote a cultural shift, by better understanding and using data to improve the Foundation’s interface with its different target groups. 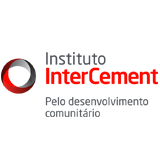 An efficient and automated system will identify, describe and customize each contact. 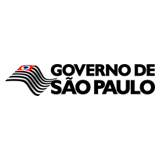 In 2015, the database was cleaned and new entries were imported into the new system where key information will be organized, stored and used intelligently, according to the needs and goals of the Foundation. 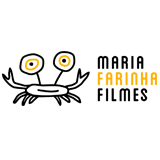 - Cleaning and updating 20% of the total database and importing entries into the new system. Final adjustments will be made to the new tool, which should be ready for deployment in 2016. In 2015, the Foundation made great leaps in the development and implementation of projects by using information technology to optimize results. Project websites were created and implemented as a pilot, for actual use in 2016. 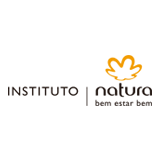 Among the key benefits are a timeline that helps organize and centralize data on the cloud, improved data security, announcements and discussion forums to optimize work. Program “São Paulo pela Primeiríssima Infância (SPPI)” website: development of app that counts the number of attendants in training courses. 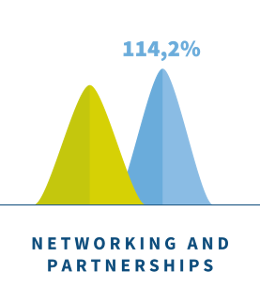 Results: 108 professional training courses (training, supervision and re-editions), 1,702 records of participants and 1,113 registered professionals. Institutional website: improvements by upgrading the user authentication process for using and downloading materials (including the Executive Leadership website). - Went from 112 to 257,000 users in 2015, 58 entries of which are from the Executive Leadership Program. The number of page views on the institutional website was 588,000, 96% higher than in 2014. Downloads totaled 24,000 - four times higher than 2014 – and from this total 2,715 documents were downloaded from the Executive Leadership website. 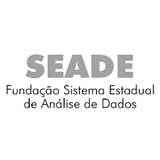 Índice Paulista da Primeira Infância/ Fundação Sistema Estadual de Análise de Dados (Seade) websites: tracking website development and deployment. New communication strategies strengthened the relationship with the national press and attracted more media coverage. Media channels now contact the Foundation for reliable information on issues related to Early Childhood Development (ECD) - education, health, bonds, family relationship and economic development related to ECD, among others. - Achieved goal to work with top media channels (Valor, Folha de São Paulo, O Globo, Veja, Exame, Estadão among others). Initial goal: 10, attained: 81 Initial goal for general information: 850, attained 768 publications nationwide. - 15 networking events with top media vehicles in Brazil with the aim to build awareness on the importance of EC. - 2 journalists attended the Executive Leadership Course. - Early Childhood was the topic of major media vehicles: Veja, Exame, FSP, OESP, Valor Econômico, G1, UOL, Revista Crescer, Jornal Nacional and Jornal da Cultura, among others. Two video series were launched in 2015 focusing on essential knowledge about Early Childhood. The first series is called "What to Do", and it consists of ten videos with topics such as: the power of bonding, prenatal, the father’s role, breastfeeding, etc. The second series is called “5 Tips “and consists of six short videos with practical tips about reading, care during pregnancy and play, among others. From September 14 to 16, 2015 we held a workshop with national and international experts in order to develop a regional agenda to foster Early Childhood in Latin America. Over 30 experts from the following countries attended: Argentina, Brazil, Bolivia, Chile, Colombia, Ecuador, Guatemala, Mexico, Peru, Uruguay, the Netherlands and the United States. 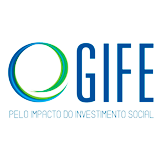 Sponsorship of the IV Seminar on Private Social Investment Assessment , held in São Paulo in partnership with GIFE, the Roberto Marinho Foundation, and Itaú Social Foundation. 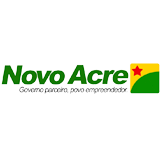 Sponsorship of the VII Brazilian Monitoring Network Seminar held in Belo Horizonte. Supported the X National Meeting on Babies , organized by the Brazilian Association of Baby Studies (Abebê) in Rio de Janeiro. Building a Regional Agenda for the Development of Early Childhood in Latin America Workshop , which gathered 25 experts from 10 countries and was organized by ”Todos pela Educação” and the Inter-American Dialogue. VIII edition of the Valuing Early Childhood and the Culture of Peace Week , organized by the Federal Senate in partnership with the University of Paris Descartes and the French Embassy, held in Brasília. The Pikler Lóczy Approach Seminar , which had 523 attendees and was organized by the São Paulo chapter of the Pikler Lóczy Brazilian Network, in partnership with Avisa Lá Institute. Avisa Lá. Sponsor of the second edition of the Film Festival in partnership with the Peninsula, Alana and Natura Institutes, the Office of the Mayor of São Paulo, Oscar Niemeyer Ibirapuera Auditorium and Itaú Cultural; it was the first film festival in Brazil that focused on childhood and education. Fifty-one national and international movies were screened in São Paulo from May 21 – 24. Innovation and institutional sustainability make up for good governance. The longevity of the Foundation is owed in part to the sound governance of its Board of Trustees - which has decision-making power - and its Audit Committee - which has supervising power. It is also owed to four advisory committees, namely, the Investment Committee, the Communications Committee, the Organizational Climate Committee, and the Ethics Committee. 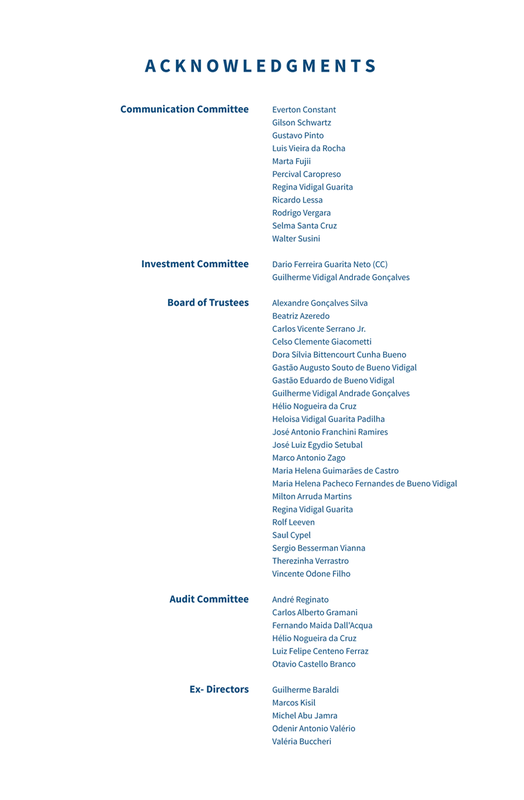 All Board and Committee members voluntarily contribute to the Foundation´s governance though their different professional backgrounds and expertise. You can visit our institutional website to learn more about the Foundation´s bodies and their members, as well as other board members who have helped us become who we are. In 2015, in an attempt to drive efficiency, the responsibilities of the Assessment and Research Department were shared among Strategy and Operations, which set up the Projects and Assessments Office, and the Department of Programs whose name was then changed to Applied Knowledge after incorporating all research-related activities. The Foundation´s financial management policy was created to protect its equity, making it sustainable to ensure that the Foundation will meet its long-term commitment to fulfill its mission and maximize results.  In 2015, the Foundation received a total of R$1,332,045.67 from donors, to finance specific projects¹.  The donations and sponsorships received (mentioned above) and the funds our partners invested directly in our projects as compensation or co-investment totaled R$ 6,003,124.36. Moreover, one of the managers of our Endowment Fund donated R$1,000.00 to the Foundation as an individual (as opposed to a corporation). The market value of all the Microsoft licenses that we use are also considered a donation from Microsoft. All the items in our financial statements - audited by KPMG - were approved and are available at FMCSV´s website for consultation. 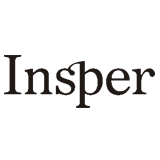 ¹ this amount refers to the funds that were effectively received by the Foundation (cash basis) in the financial year of 2015 and were not, therefore, reported in the books as revenue from sponsorships and donations due to differences in the way these amounts are reported in the accounting statements. 2 pursuant to letter “c” of Item 27 of ITG 2002 (R1) – as a non-profit organization, the Foundation provides information about the nature of the taxes that we are exempt of just as an explanatory note, since it is not required include the total amount waived in its income statement. To protect its 50-year legacy and continue its operations, the Maria Cecília Souto Vidigal Foundation established a structure to manage and govern its Endowment Fund, for which the Board of Trustees is responsible. The Board manages the Fund by following the recommendations made by the Investment Committee. The use of resources from the Endowment Fund must be approved annually by the Board of Curators in the form of a budget drawn up by one of our teams and be approved by the Foundations Committee of the São Paulo District Attorney´s Office. The responsible use of these resources ensures that the worth the Foundation´s equity will remain unchanged, allowing it to fulfill its mission to the best of its abilities. The work of both the Investment Committee and our team members is based on investment strategies aimed at minimizing losses and exceeding our return rates, currently set at 4.5%, plus inflation (IPCA/IBGE price adjustment indexes). Although long term investors had to deal with a particularly challenging economic scenario in 2015, we decided to stay on the same course. Annual returns of 10.2% a year remained below the expected rate of 15.2% because of the economic drawbacks Brazil faced in 2015.  In spite of the lower returns, the Endowment Fund´s total revenue in 2015 reached R$ 38 million. Furthermore, our commitment to the longevity and mission of our foundation grew even stronger as we adopted strategies aimed at making our investment portfolio more solid by choosing assets that are better protected against both inflation and the economic instabilities that we may encounter in the future. This process, designed to identify which should be the focus of our actions over the next five years, included a workshop with experts to reassess the role of the Foundation and to review the following: 1) benchmarks from the best philanthropic institutions, 2) Early Childhood Policies and current research in this field, and 3) the experience that the Foundation had accumulated over the last decade. Considering that our focus and priorities for the period between 2016 and 2021 have changed, so will our metrics and indicators, which will be presented soon. 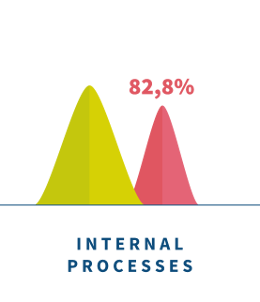 Just like in any other mature management process, our figures will be reviewed regularly and adjusted by our internal monitoring system and project follow-up tools. 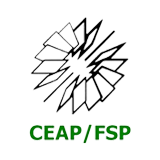 The Foundation´s proposal for the next five years is to gradually switch from implementation-related activities to playing the role of an intermediary whose mission is to establish partnerships and look for co-funding and funding to promote the Foundation´s programs and cutting-edge research required to change the current reality of Brazil´s young children.